Dorian FitzGerald will be hosting his second solo show, Honi Soit Qui Mal Y Pense, at Toronto’s Clint Roenisch Gallery tonight, Friday November 18, 2011. Continuing with his familiar theme of excess, the monumental high-gloss acrylic paintings featured in the exhibition are completed in FitzGerald’s trademark technique using clear caulking to separate sections of colour within the piece. While in the past the artist has explored relics of lost empires and collapsed pop-icons, this show will focus on the horded hauteur within the world’s more royally endowed lineages. 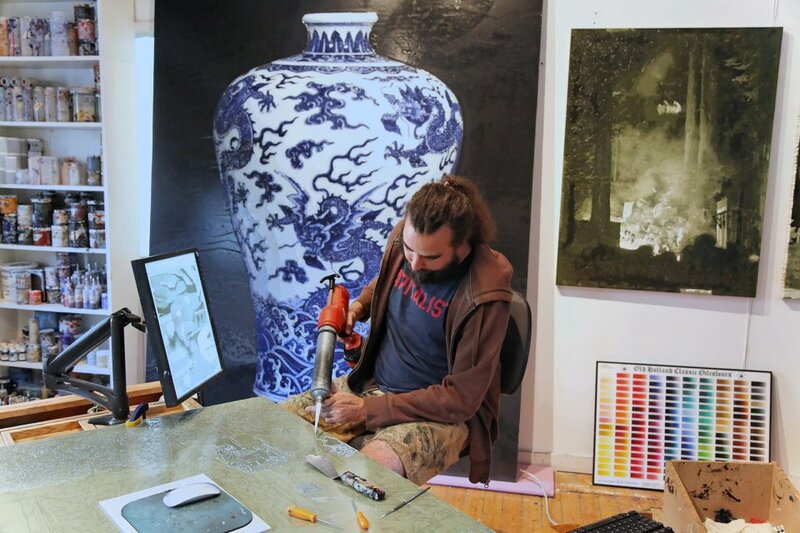 The artist will be in attendance for the opening tonight at Clint Roenisch Gallery, 944 Queen Street West.